Mary Kaye Merwin credits her entire professional career to personal development through 4-H — a 65-year experience that began at age 10. The 12-year member of the Linn 4-H Club — Wisconsin’s first, formed in 1914 — has served at the county, state and national levels. Now retired, Merwin continues as a Wisconsin 4-H volunteer and advocate from her current home of Linn Township in Walworth County. Merwin began her career as the Waukesha County 4-H Home Economist in 1964. 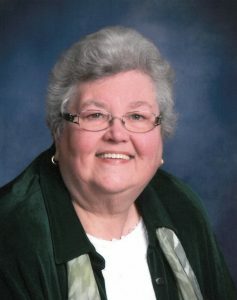 Next, as the first female 4-H educator in Wisconsin, she helped expand 4-H programs to urban areas and brought volunteer numbers to more than 1,000 in Rock County from 1967-73. She also assisted in the 1969 creation of the University of Wisconsin Department of Youth Development. From 1973-1978, Merwin served as a Texas 4-H Specialist and as District Supervisor for Home Economics and 4-H. There, she was tasked with integrating the racially segregated 4-H program. As part of the Program Division of the National 4-H Council from 1978-1986, Merwin helped move the National 4-H Service Committee from Chicago to the National 4-H Council in Chevy Chase, Maryland. 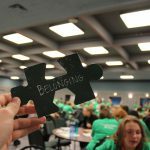 Merwin provided leadership for national youth, volunteer and staff training. She also coordinated the National 4-H Awards programs and National 4-H Congress from 1980-1985. From 1987-2001, Merwin served as Executive Director of Cornell Cooperative Extension of Nassau County, NY. There she supervised 18 Extension Agents, 25 program assistants and 10 support staff and managed a 50+ acre 4-H camp. While she worked in New York, the county program and annual budget grew from $600,000 to $4.95 million. Merwin also served on the committee to establish National 4-H Urban Programs. After retirement in 2001, Merwin returned to Wisconsin, where she serves on the Wisconsin 4-H Foundation Board. She co-chaired the History Committee for the Wisconsin 4-H Centennial in 2014 and is a citizen member of the Walworth County Board of supervisors’ Extension Education Committee. Merwin continues to lead in her community, church, alma mater, county and state groups.